It's been a while since we've shared the shows that have tempted our viewing pleasures and way past time to update. Here's what we at Tears of Crimson are watching. This one is a no brainer, pun intended. 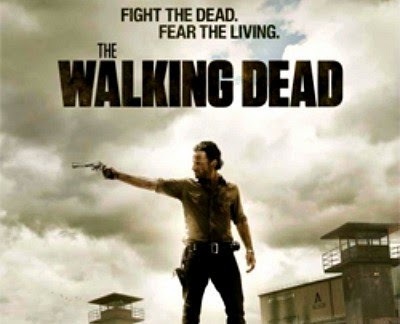 Walking Dead had us from the first zombie and is still one of the greatest shows on television. We got so caught up in the characters that the Zombies actually became an afterthought. The troubles intrigued us and how could we not fall in love with a town that was plagued by the supernatural. Great characters and a plot that never slows down makes Haven a must watch show. 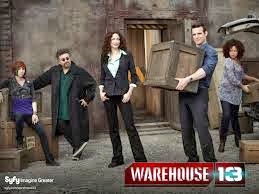 We went in with some pre-conceived notions about Warehouse 13 and came out with our expectations exceeded. This show pulled us in fast and hard and kept us watching because the storyline is just incredible. For our vampire lovers out there, Spike and Giles from Buffy make appearances in the last few episodes (just a little teaser for incentive). The show centers around artifacts with mystical powers but it's so much more than that! How can you add the word Dracula to a title and not expect everyone at Tears of Crimson to be anticipating? We're hoping that the directors pull this new born Dracula on the right track and promise to give our opinion after the air date. When it comes to great television, the offerings just keep getting better. For our Netflix watchers a show has caught our eye titled Revenge. We just ran across this one so have only gotten four episodes in on the first season and it's in season 3 now but from what we're seeing so far, it's rocking our world. Take a young girl, screw over her father and give her years to plot her revenge and you get one lady that's hell bent on making people pay.